His art and your support will help us turn 2 acres into an urban food oasis on June 8 in Colorado. 100% of profits from this shirt will go straight to funding the Born Botanical Permaculture Action Day. 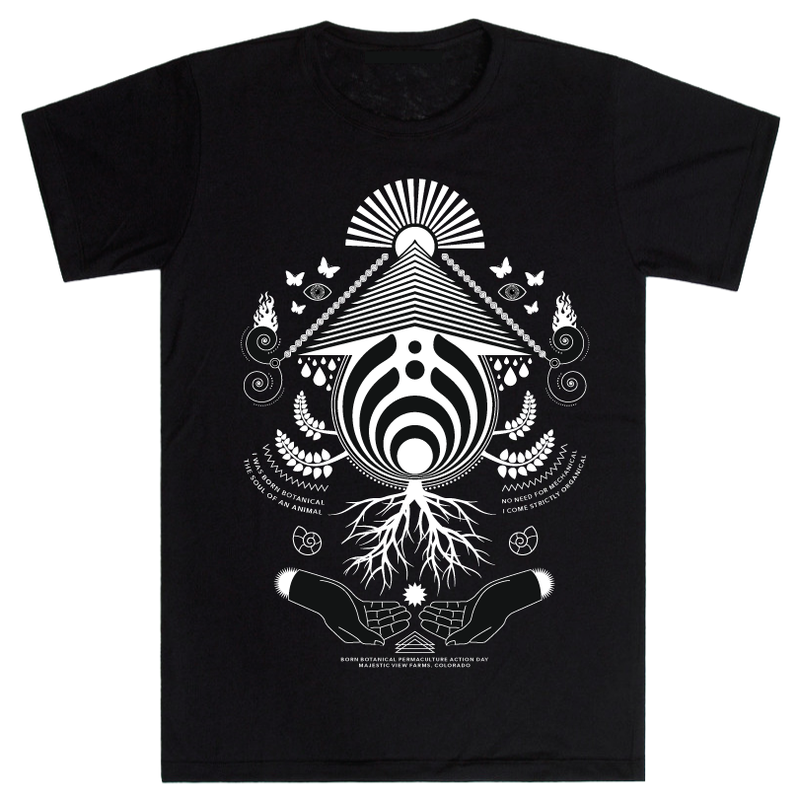 This design will be printed on a high quality eco-friendly and sweatshop free shirt by the Bassnectar Merchandise Team. Shirts will be printed in a small batch based on the number of orders, and ship as quickly as possible once the fundraiser ends.